In hopes of maybe getting a few less emails informing me of this news, I feel beholden to post that yes, I am aware that Wizards of the Coast has announced their intent to produce D&D 5.0. This may surprise you, but no, I do not think that is pertinent news to my interests as expressed in this blog. Frankly, about the best thing Wizard’s could do for me at this point is to change the name of their product. Obviously they would never do that, there’s a huge amount of marketing power in that name, but at least it would clear up any confusion about what I’m referring to when I say that I play D&D. As I said, it’s a lovely sentiment, but I have to ask one very important question: what’s in it for me? I mean, seriously, I already have a game that’s my D&D, whose focus and complexity is exactly the level I prefer. Even if you took every single piece of advice I gave on what would make the game more enjoyable for me personally (which I’m certain would not help your sales), why would I buy it? I already own that game. Anyway, I still plan on sending you every article I ever come across about it, just because. Please ignore the trolls, their comments will be removed. If this button had a “Like” or “+1” button on it, I would press it! Actually, there should be both Share on Facebook and +1 on G+ buttons right there at the bottom of the post. Even if you took every single piece of advice I gave on what would make the game more enjoyable for me personally (which I’m certain would not help your sales), why would I buy it? I already own that game. To, perhaps, show support for the industry? I’m all for showing support with dollars when it comes to stuff like a local gaming store when it adds value other than just the product. For example, a local game store gives me a means of immediate gratification rather than waiting 2+ days for shipment of goods. Also potentially a social outlet for meeting others with similar interests related to the product being sold. Support for “the industry” though seems odd to me if the industry is not adding any value beyond the products in question. I mean, why throw dollars at supporting an industry that is not producing anything I’m actually interested in owning? What do they add? 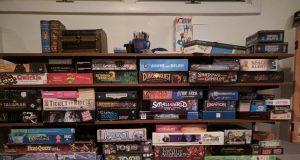 If the whole roleplaying game industry died, would the hobby likewise suffer? I’m not so sure. I suspect I’ll still be able to find friends to play D&D with even if there’s no company selling D&D. I know I have ample material to run such games from now until I’m 99. Really, what is “the industry” doing for me that they deserve my financial support? The industry is cultivating new gamers who might not otherwise be reached because they don’t know other gamers – they maybe wander into the local game store, or even their public library, and see that WOTC is running/sponsoring an intro session using their new system – they get sucked in, and a gamer is truly born, providing someone who will come to the nursing home to play D&D with you when you’re 90. It’s almost like me saying why should I buy any new books to read, when I have so many at home that I already love. Actually this looks pretty similar to 4E PR in that D&D has some “fundamental essence” apart from the mechanical rules, such that they can break compatibility but act like it doesn’t matter. It does. It is almost like that, but not quite. There’s a reason to prefer old books you’ve already read than new ones, as some level of enjoyment in reading books comes from the novelty of not having read it before. Where-as with D&D, once I know the rules I know the rules. Reprinting what I already have adds no value, where-as adding on directly contradicts my preference for a simple rule base. There is something to be said for introducing new blood to the concept at large though. However, I think that’s personally better served by “supporting the hobby” than “supporting the industry”. 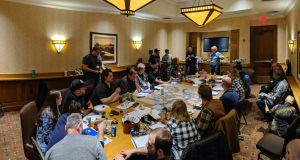 I’m not sure there’s an easy way to do that though, the only thing I can think of is encouraging the growth of local gaming conventions that focus more on play than on merchandising, but the two do tend to go hand in hand. Or perhaps to spin your example, I could personally go run a game down at the local gaming store or library that’s not endorsed by Wizards of the Coast. I can’t believe you just made a Chron-X reference. You win! Also dig the “Big Tent” analogy. I totally agree, I cannot imagine how they intend to write a game that will please every gamer all the time. It’s not possible, we can’t even agree on the singular of the word “dice”. I wonder how many local gaming stores would be around if it weren’t for the big industry pumping out new products? To be honest, I’m surprised there are still as many gaming stores as there are, and wonder how many will be left in another decade or two. That said, I think there will always be an outlet: you mentioned libraries for example. Some idiots create their own private clubs for this sort of stuff. Plus, there’s always the internet. Hobbyists alone might not be able to keep the gaming stores open, but I bet we can keep the conventions running. ^ Wow! Without seeing that Dancey quote before, I’ve said the exact same thing in the past. Back in 2006 I made a prediction that WOTC would stop publishing D&D RPG products around 2018, and I still think that’s likely.